A health-conscious restaurant brand is set to expand into Ohio next year. True Food Kitchen, co-founded by integrative medicine expert Dr. Andrew Weil, will open a 6,000-sq.-ft. location at Easton Town Center in 2020. The fast-casual chain’s menu rotates regularly with fresh, in-season produce and nutrient-dense ingredients, with vegetarian, vegan and gluten-free options. “As a brand that’s as passionate about our food as we are the local community, we look forward to introducing Columbus residents and visitors to a better way of eating and making them feel at home in our restaurant,” said Shannon Keller, chief marketing officer of True Food Kitchen. True Food Kitchen will be part of Easton Town Center’s new 16-acre expansion plan where it is unveiling a collection of local and national food, retail, and entertainment brands. The $500 million project is currently under construction in the northeast quadrant. A 40,000-sq.-ft., three-story RH Columbus, The Gallery at Easton Town Center will anchor the new area. 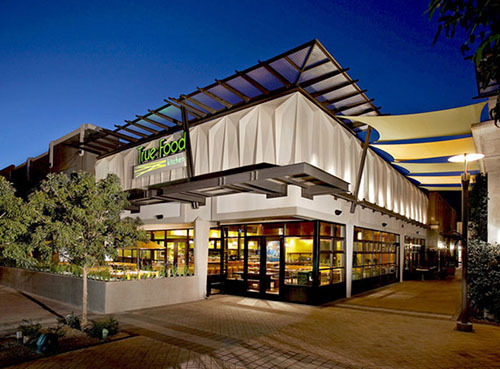 True Food Kitchen has 26 locations in 11 states including Arizona, California, Colorado, Florida, Illinois, Georgia, Maryland, Pennsylvania, Tennessee, Texas, and Virginia. The chain received an undisclosed equity investment from Oprah Winfrey last year. Winfrey is also joined the company’s board of directors.